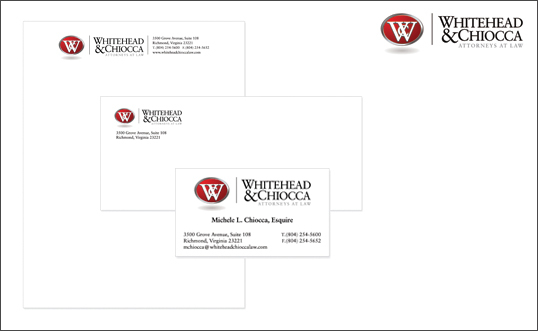 Project Details: This logo and stationery was created for Whitehead & Chiocca, attorneys at law. They requested that we design a logo for them that incorporated their initials and that looked traditional but with some sort of modern aesthetic. 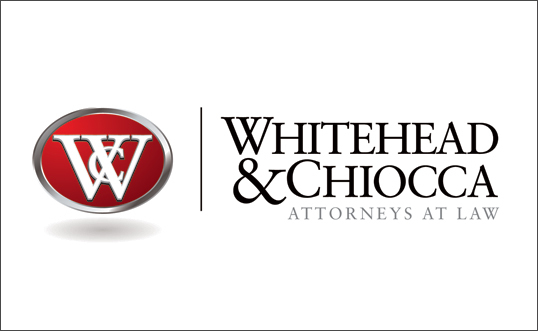 The traditional serifed typography and red oval give the logo strength while the metallic border along the oval and beveled initials give the logo a modern feel.